Google built a multi-billion dollar business on delivering search results that were superior to other search engines. 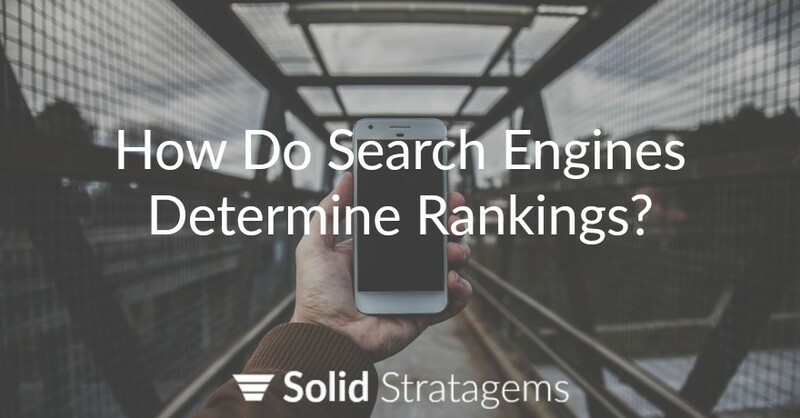 They treated webpages and prioritized rankings the same way a hiring manager would choose to prioritize candidates for a job. If you were a hiring manager who would you choose as your top candidate – someone who had a history of being less consistent, lower quality, and less experience? Or the person who had been the most consistent, at the highest level of quality, for the longest period of time? Of all the hundreds of variables in the modern algorithm – it boils down to just this – Google wants to rank webpages that have consistently provided high-quality content for the longest period of time. The product of a webpages consistence, quality and age result in the webpages power to rank or authority. Consistence: If you’re regularly publishing and updating your content then you are consistent across time. If you’re published content (both on your site and off-site sources) is about the same topic or related topics then you are consistent across space. You want both. Be consistent across time and with your genre/topic. *Consistence can be measured by both the rate at which you publish content and the percentage of your content that is about a similar topic or group of topics. Quality: You want to publish VERY HIGH-QUALITY content. This means it is more engaging and makes readers want to save it or share it more than other content addressing the same topic. *Quality can be measured by bounce rate and conversion rates. Time/Age: Evergreen webpages and websites (not news based blog posts) get better with time. This doesn’t mean you shouldn’t update your page (updating your page will boost rankings). It does, however, mean you shouldn’t completely change the topic of the page. *Time and Age can be measured by both the date of when a piece of content was first crawled and by the age of the domain the peice of content belongs to. It’s important to have all three parts. If you do, you’re webpage will be a relevant, trusted, and popular page that Google considers an authority. If one part is missing – you’re missing out on the benefit of being considered an “AUTHORITY” by search engines. What Happens When You Combine These Basic Concepts? If you were to publish a super high-quality piece of content then with time that content would become found and shared. In short, it would be viewed as “popular” by search engines. 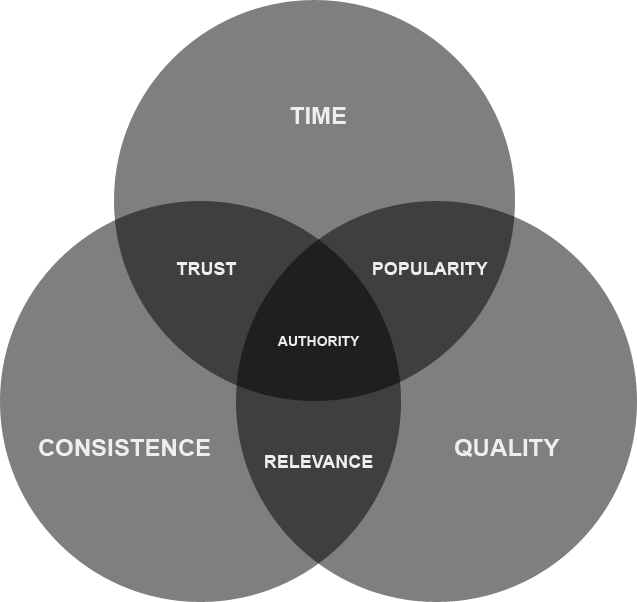 *Popularity is measured by social signals (e.g. likes and shares) and by the quantity of unique domains linking to the content. If you consistently publish content, not the best content, but published content consistently, in time you would become “trusted” by search engines – they would come to count on you publishing and updating content. *Trust was at one time measured by Google PageRank but Google stopped publishing PageRank at the end of 2013. MozRank can be used as an estimate of PageRank. If you begin today to publish high-quality content that was both consistent in frequency and topic – you’d quickly become relevant on your particular subject. … THEN YOU’D BECOME AN AUTHORITY AND EVENTUALLY “THE AUTHORITY” in the eyes of search engines. *Authority results in increasing traffic, conversions, and fans. How Can These Concepts Be Measured? The above 6 items result in authority which results in increases in rankings, organic traffic, conversion and inbound revenue. In short, if you want to be the authority on a specific topic or in a local market then produce higher quality content, more consistently, for longer than your competition. Do it and the search engines will reward with relevant inbound traffic and motivated buyers.